During the 2009 spring turkey season, New York issued 147,560 permits. But hunters only harvested 34,600 birds. "As you can see, on many public-hunting areas in New York, the turkeys have to deal with a tremendous amount of hunting pressure," Bob Wozniak explains. "But I've found very-productive turkey hunting and few hunters in the woodlots close to major highways and interstates. I know you miss some of the beauty of the silent woods. But when a big 18 wheeler comes roaring by you that noise doesn't spook the turkeys because they’re accustomed to it. Most hunters won't hunt these places because they can't hear the turkeys gobble as well as they can farther away from the interstates. The longbeards that live close to the highways usually have experienced little or no hunting pressure. I've found these birds are easier to locate, to call in and to get them to come in to the gun than the toms farther away from the highways." In the past, Wozniak has hunted primarily around roads, like most turkey hunters in New York. But in recent years he's found and bagged more gobblers by walking rather than riding the ridgetops. "When I start out in the morning, I try to get on the back side of a ridge close to a road that hunters use," Wozniak reports. "Or, I'll hunt the second ridge away from the road. I can locate gobblers in these areas that the road hunters never will call to or hear. I also like to walk because I believe I'll have a better chance of calling turkeys the more mobile I am. Often the fastest way to get to a bird that gobbles in the morning is to go through the woods rather than by the road. If I'm in the woods hunting, you're on the road calling, and a tom gobbles, more than likely I can get close to that bird and call him to me, before you can drive near him, get out of the car, walk into the woods and begin to call." 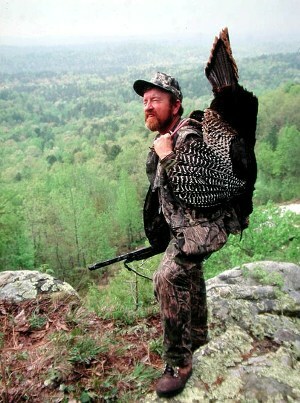 Bob Wozniak believes many turkey hunters walk-off and leave close-by toms because the hunters never hear them gobble. 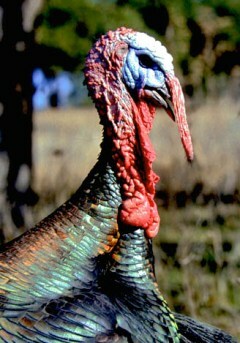 Although we all like to hear turkeys gobble, Wozniak reminds us that he's taken several toms that never have gobbled. "Often in a high-pressure area, a tom only will drum as he comes to a hen," Wozniak mentions. "I know many turkey hunters I've guided before who never have heard that sound. They listen for a turkey to gobble and don't understand what they hear when a bird spits and drums. But on a still morning, you may hear a turkey drum 50- to 75-yards away, which will alert you to his presence, even if that tom doesn’t gobble." When turkey hunters discuss bagging gobblers, they always talk about calling to the turkeys. However, Wozniak suggests you learn to hunt a turkey first and rely more on your hunting skills than your calling skills to take a tom. "One of the biggest mistakes most turkey hunters make is they don't anticipate what the turkey will do before the turkey does it," Wozniak explains. "Instead, they react to what the turkey does after the bird already has committed himself to go one way or the other. If you're a good woodsman and hear a turkey gobble after you call to him, you'll anticipate where that turkey will go, what he'll do, and where you should be to intercept him. You won't just sit down and call the bird to you. 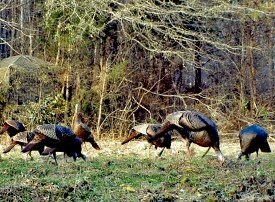 Your chances for bagging a gobbler will be much greater too." 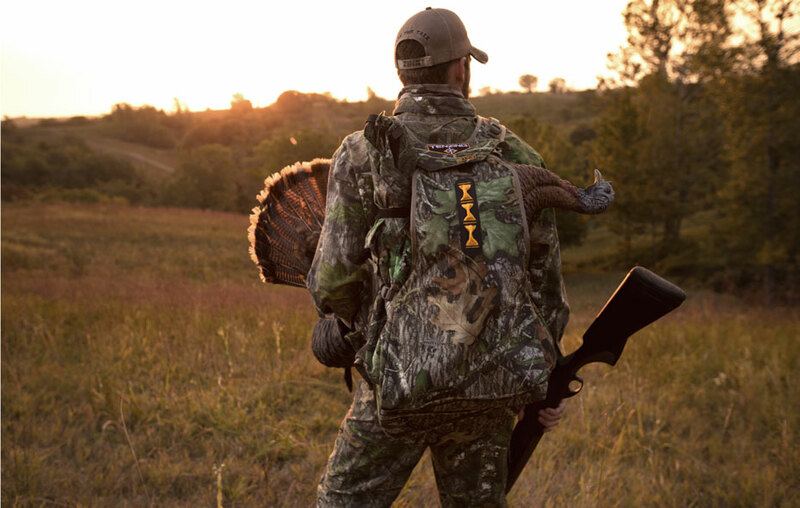 By knowing where a turkey naturally wants to walk and the kinds of places a turkey won't move through, you can take a stand in a section where the turkey most likely will come, even if you don't call and bag your bird. Regardless of the type of insect repellent you use, bugs always seem to aggravate you in the springtime when you've got a gobbler close to you. You'll find developing the ability to grin and bear bug bites a tremendous advantage to successful turkey hunting. "Even when you can't see the turkey but have a gobbler close, don't move," Bob Wozniak cautions. A few years ago, Wozniak and a friend had sat down next to a big tree with a gobbler about 75 yards in front of them but out of sight. "When my hunting partner felt a bug chewing on his forehead, he reached up to swat it," Wozniak recalls. "He didn't realize a second, very-big gobbler with a long beard was sneaking in to our left. But my friend spooked the gobbler he hadn't seen when he swatted the mosquito. That bird gave an alarm putt and ran off, spooking the tom coming in to our calling out in front of us." Often when you sit down to call a turkey, you'll call-in more than one gobbler. However, once you've made the decision to call the bird to you, sit as still as possible. If the bugs start biting, just learn to grin, and bear it. Wozniak has discovered that by changing calls he can bag more turkeys than if he uses the same type of call everyone else in an area does. "If everyone where I hunt uses a diaphragm call, I'll use a Quaker Boy pushbutton call, a box call or a slate call," Wozniak comments. 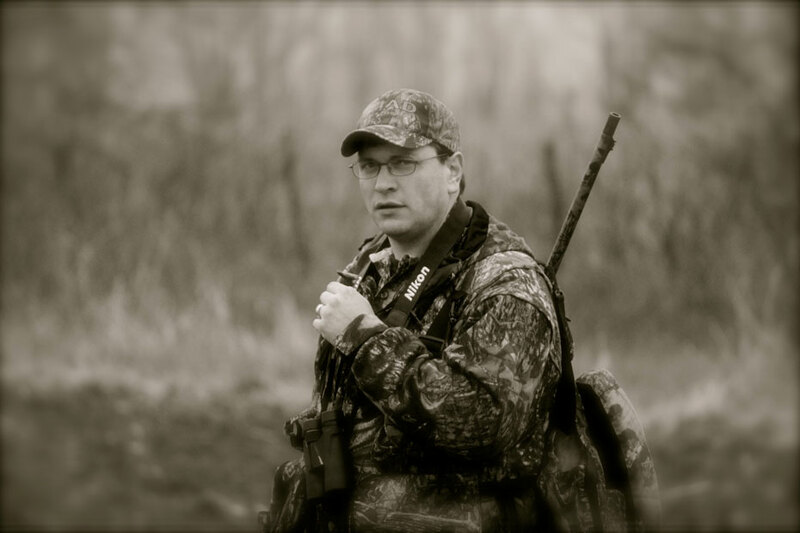 "I want to use a different call than the other hunters in the woods do. I really believe that gives me an advantage." Wozniak almost can determine when he hears a turkey gobble in the mountains of New York whether he can take the tom or not. “If a tom is gobbling at the top of a ridge, I've got a good chance of bagging him, because more than likely he's not with hens," Wozniak comments. "But if he's gobbling lower down on the mountains, I've found that often the tom will be with his hens and will have moved to those lower elevations to feed and breed. I think turkeys go to the tops of the mountains to call their hens to them. Then once the tom rounds-up his harem, he'll move down the mountain." Author’s Note: Bob Wozniak, one of the true masters of turkey hunting in New York State, has hunted turkeys for more than 40 years. He has bagged a gobbler or called in a gobbler someone has taken every year that New York has had a turkey season. His tactics will pay-off in most sections of the United States. More call manufacturers are making devices for hunters who want to call to turkeys. 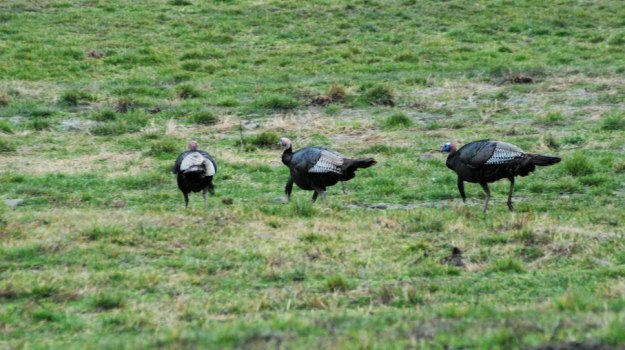 If you’re hunting private land, and you know no other hunters are in the area, then crawling on turkeys may be okay. But I think you need to take a hard look at crawling on turkeys.